Introducing a few recent book events and an invitation to talk about what you’re reading. This post is an experiment I guess. I’ve previously written articles pointing to reading material, even occasionally reviewed a book! (I haven’t done that in quite a while!) Here I’d like to invite readers to share what you are currently reading . Before I do, let’s look at a couple of recent book events & news. The Royal Society of England’s shortlist for the Prize for Science Writing 2010 is out. Bookies odds are near the bottom of the page! 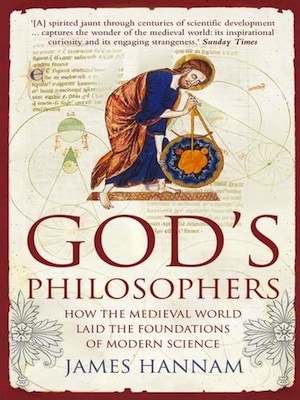 – they favour James Hannam’s God’s Philosophers: How the medieval world laid the foundations of modern science. Some of you will have already seen their second-ranked book, We need to talk about Kelvin,* on the shelves in New Zealand. Jennifer Rohn noted that every shortlisted book book this year has a male author, which has a number of writers twitting disappointment. I note the remark at the end that they are seeking support for the award for coming years: you’d like to think this is a good cause for someone to be allied with and that someone will see the opportunity it represents. The same could be said of the New Zealand equivalent, the Royal Society of New Zealand Science Book Prize. It is biennial with the next round next year. If anyone was looking for a copy of Jennifer Ouellette’s Calculus Dairies that I mentioned in Looking for a book to read?, it’s now available on Amazon.com. 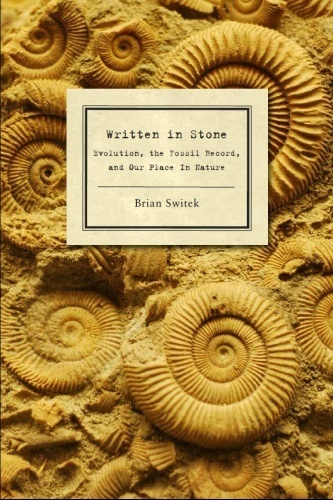 There are a lot of science writers tweeting that they are getting their copies of Brian Switek’s Written in Stone: that’s available now too. There’s still time to contribute to the Science Book Challenge 2010. Their Book Notes are another place to search for new science-y reading material, with a long list of science-related books. But the main purpose of this post was to invite people to share what they have read recently that they think other’s might like. Or just books they’ve spotted that sound great. I have almost completed reading Writing Fantasy & Science Fiction by Lisa Tuttle. I know it isn’t ’science’, nor do I expect to become a sci-fi ‘great’ from it, but it has been interesting to explore the issues of presenting a sci-fi work. Others have objected that this book does not give much on writing in general, but like some others I think Tuttle has made an excellent choice to focus on what is different in writing sci-fi (and fantasy). There are countless general writing books available, after all, and it keeps her work the more compact and better for it. God’s Philosophers sounds like something I’d read, and as you might guess is part of the inspiration for this post. Currently, I have a book on a related subject out of the library, The Age of Wonder, by Richard Holmes, which looks at science through the late 1700s through to the mid 1800s. I’ve barely had time to get through the first few pages – it’s an enormous thing, 469 pages excluding end-matter – but it looks very promising. 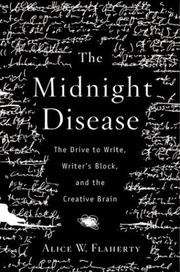 There is also a copy of Alice Flahery’s The Midnight Disease that I have been wanting to read since seemingly ’forever’. Alice Flaherty is a neurologist and in the book she explores hypergraphia, the compulsive desire to write. This book seems appropriate for a blogger who often finds himself writing his posts in, literally, the wee hours of the morning, just as the title alludes to. Share what you’ve read or are interested in lately in the comments! * I’d provide a link, but the publisher really needs to do something about their server: the page won’t load andI’m not about to provide a ‘sucky’ link to my readers…! I haven’t had much time for reading, with a new job, new house, new city to deal with — and most of my reading time has been targeted to my new field — but I just downloaded the Kindle edition of Age of Wonder; thanks for reminding me I meant to get to it. I’m looking for audiobooks, actually. My main downtime is my 20-minute commute to and from. I listen to podcasts (This Week in Virology, Carl Zimmer’s Meet the Scientist, and am just starting on the Royal Society’s back catalog) but there’s only so many of them. I’ve listened to a bunch of science and history of science books during my previous commute: Longitude, The Ghost Map, Measuring the World, The Invention of Air; also a number of others. I prefer non-fiction for the drive, it’s hard to appreciate fiction as much this way for me. I confess I have read Kathy Reich too. (I wait until they hit the library shelves though, easier on the budget.) Maybe not a Kiwi guy kind of thing (?) to confess to, but I like her characters and as you say the forensic science snippets are good. I remember reading about your new job a while back. Hope itâ€™s going well. Should add that I heard of The Age of Wonder from Stephen Curry writing about it on Nature Network. I’m reading a pile of books (and notes) on crop quality, some papers on the effects of various approaches to seed priming, background revision on general plant biology (which I either never knew or have almost completely forgotten), various hort journals – quality stuff again – and a bit for another paper which is more management and less science so I won’t bore you with those details. In short, nothing too exciting. 🙂 The Hannam book looks interesting, might have to get to it next year. I feel for writers who are trying to make a living from it a bit, you’d think that the recession will have been hard on book sales, and the high prices these days are off-putting. Alison, Just while I remember, have you looked at Blum’s The Poisonerâ€™s Handbook? Might be more chemistry-oriented than forensic science-oriented, but your mentioning Kathy Reich reminded me of it. Just went to your link & read that blog – now my head hurts! Good on Matty; he’s done a great job. Haven’t read ‘The Poisoner’s Handbook’ but I remember looking at reviews & thinking, hmmm. Gonna skim through ‘Do bats drink blood’ for my bed-time reading 🙂 I say ‘skim’ because it’s a series of short pieces on all sorts of stuff to do with bats. Well, I’m not really reading anything that relates too strongly to *modern* science at the moment, so I wandered over there instead. I wasn’t going to get embroiled in the thread, but the snarky “They used to think the earth was flat” remark pushed me over the edge a bit. I’d love to read Brian Swintek’s new book, I enjoy his blog. Interesting fact about one of the books I’m reading/writing about for school. Circa 1895 H G Wells first portrayed aerial dog fights in ‘The Sleeper Awakes’. Instead of predicting mounted guns on the aircraft, the fighting was conducted by ramming other planes (“aeropiles”) into the ground. Actually, also, Bernard Beckett’s ‘Genesis’ is great Kiwi YA sci-fi that I covered for my NZ Children’s Literature paper at Vic. I recommend that book for any reader, it’s a lot of fun. Brian’s blogs are great, aren’t they? Funny you should mention that Well’s story. I have it in an anthology I picked up in a sale, and was looking at starting The Sleeper Awakes a while ago. Never got back to it as I’ve been too busy. But kamikaze-style bombing? Maybe if someone does a movie, itâ€™ll be set in Imperialist Japan? Beckett’s name seemed familiar so I looked it up to see why I remembered it. He wrote Falling for Science and I recall hearing him speak once. Should look up Genesis next time I’m in the library to see what a local has been up to. I wasnâ€™t going to get embroiled in the thread, but the snarky â€œThey used to think the earth was flatâ€ remark pushed me over the edge a bit. Hee hee 🙂 I know what you mean. Must check what you said to that later, but that’s a bit rich considering how long academics (of the day) have known it wasn’t. But I’ve also been writing about C S Lewis and his conflicts with J B S Haldane, but those are primarily political. Haldane pointed out that Lewis’s science was usually wrong, but that’s a pretty easy criticism to make and he doesn’t seem to have gone into any great detail. Oops. Lots of typos in that last post. Youâ€™re in good company 🙂 I canâ€™t stand the number of typos in my own articles, never mind my comments. Just to encourage you to further â€œwasteâ€ your time — 😉 — you might look at Victorian Popularisers of Science that I previewed almost a year ago now (https://sciblogs.co.nz/code-for-life/2009/10/02/book-review-victorian-popularizers-of-science/). From memory it has a chapter on Huxley, along with the other writers of that time. It has more of the sort of anecdotes youâ€™re talking about and examines the aims of their science writing, etc. I’ve also enjoyed Desmondâ€™s biography of Huxley (simply called Huxley, which while a simple and clean title is curious when you consider that the â€œotherâ€ Huxleys are pretty famous in their own right). Reading that is probably taking it too far for you, thought. It’s a long book, but what a life! You might like this article in the Times Literary Supplement, based on a review of a new biography by Sherbourne: H.G. Wells: Another kind of life. Sounds like a book you might like. Me, too. If I remember I’ll put an purchase suggestion to the library for it tomorrow. Thanks for the kind words about my book. It’s available for pre-order right now, but won’t be officially out until November 1st, 2010. The copies other have been tweeting about are review copies I sent directly to them in preparation for a blog book tour. Available as a ePub for those who’ve shelled out for an eBook reader and as a DIASY file for the blind. Thanks for sharing that, sounds interesting. It seems that the sequel to The Age of Wonder is on itâ€™s way, titled The Lost Women of Victorian Science. These women also feature in Victorian Popularizers of Science. We recently republished a corpus of Zoology Publications from Victoria University of Wellington. See http://www.nzetc.org/tm/scholarly/tei-corpus-zoology.html all works are available as ePubs for reading on the bus/train/beach. Ahhhh. So much to read. So little time. eviltwit, As if you didnâ€™t have enough to read already 😉 I wish there were more time to read, too. A headâ€™s up regards James Hannamâ€™s Godâ€™s Philosophers, unknown to me at the time I wrote this post, his work seems to have generated some controversy as to if the book is, or has elements of, christian apologetics or at least favouring one side than might be justified. I wouldnâ€™t want to hang a book on the basis on a few casual remarks elsewhere, but for good or bad they do have me pausing and thinking twice as it were. I very much like the idea of a popular work that brings out accepted material of what science historians say about the period. A catch is that Iâ€™m not in a position to (easily) just how correct the history is, or if it hasâ€”to whatever degreeâ€”a slanted or selective presentation.